ART GALA at Pioneer Village! 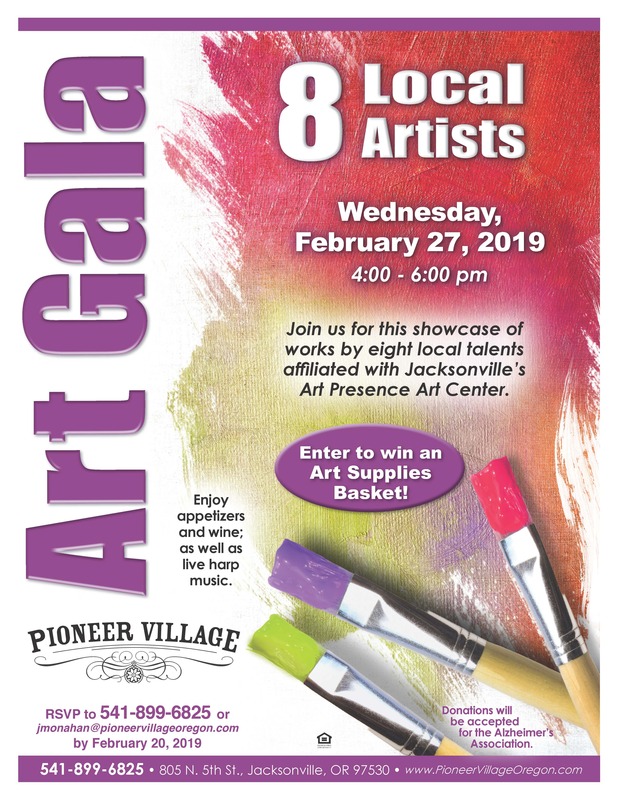 Come visit our showcase of works by eight local talents affiliated with Jacksonville’s Art Presence Art Center. Enjoy appetizers and wine, as well as live harp music. Enter to win an Art Supplies Basket! Donations will be accepted for the Alzheimer’s Association.